This week’s Thirsty Thursday is a cocktail on a stick! Let me tell ya, I can not get enough of watermelon lately. Well that and strawberries and raspberries, but definitely watermelon. When we’re talking drunken watermelon my taste buds are even more excited! 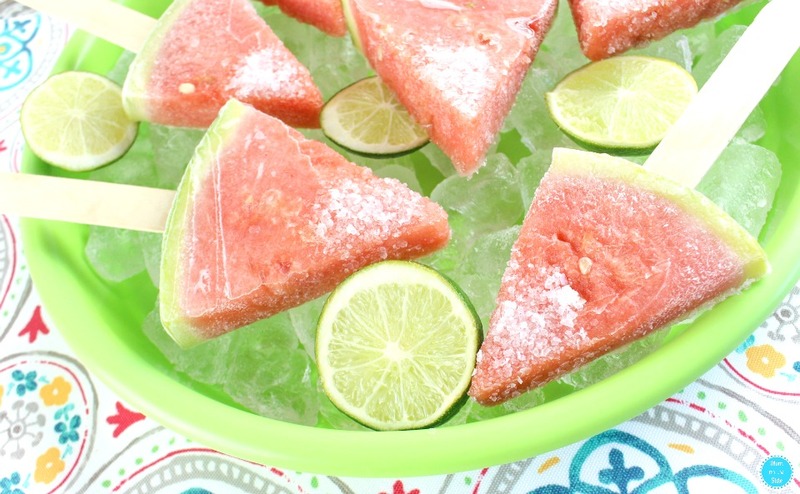 Trust me, these Boozy Watermelon Pops will be a summer time favorite for adults. A fun twist on a delicious cocktail that is also a built in snack for grown-ups. Once you see how easy these cocktails on a stick are to make, you will be serving them at your backyard parties. First, using a knife, cut a small slit in the watermelon rind of each wedge. This will help make inserting the popsicle stick easier. 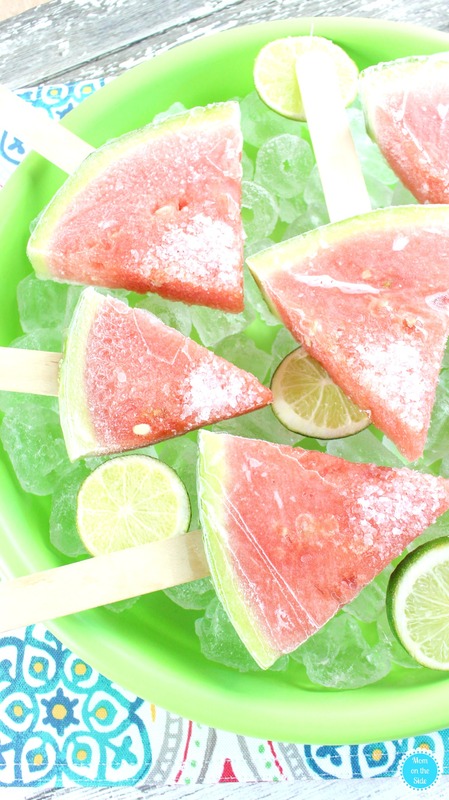 As you place a stick in each watermelon wedge, set them on a cookie sheet in a single layer and set aside. Next, add sugar and boiling water to a large mixing bowl. Stir until sugar is dissolved, then stir in the lime juice, tequila and triple sec. Pour mixture over the watermelon wedges. Cover and freeze for 2-4 hours. 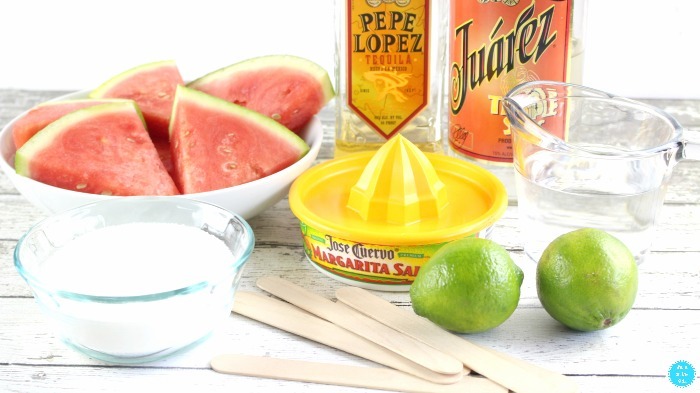 Before serving, sprinkle margarita salt on the tips of each wedge. Serve on a large platter with lime wedges and additional salt. 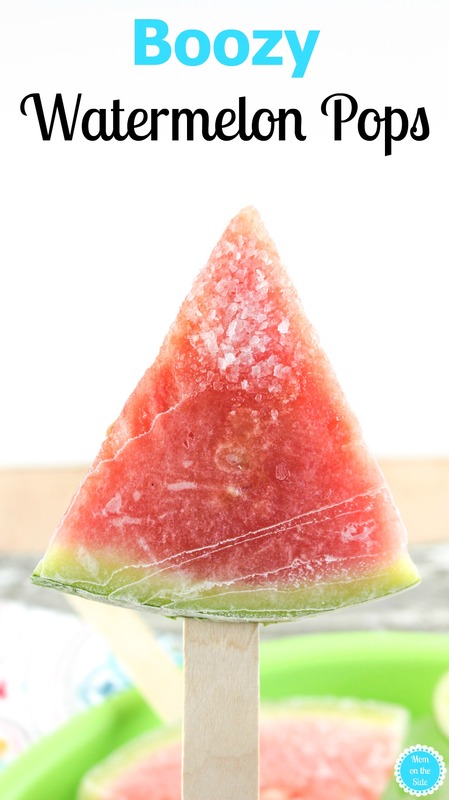 If you enjoyed these Boozy Watermelon Pops, be sure to check out Rum Chata Pops, Tequila Sunrise Pops, and Peach Raspberry Sangria Pops!